Most of the time, pet owners have the luxury of scheduling veterinary appointments as needed to take care of "preventative maintenance" and minor health issues in their pets. But it's always possible to experience every pet owner's nightmare -- that sudden crisis that signals a veterinary emergency. At times like these, you need to know what to do and where to go to provide your pet with immediately, possibly life-saving help. 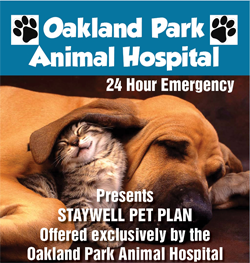 Oakland Park Animal Hospital stands ready to administer emergency and urgent care for animals in Oakland Park, Fort Lauderdale and surrounding areas. Uncontrollable vomiting/diarrhea, disorientation, breathing problems, loss of consciousness, irregular vital signs, multiple seizures, and severe bleeding are all indicators of a veterinary emergency. While your first instinct in an emergency may be either to rush your pet unquestioningly to our clinic or take matters into your own hands, the smartest first step is to call us. This allows us to dispense immediate treatment advice while preparing our facilities for your pet's arrival. There may be certain helpful procedures you can follow before coming to our clinic, such as cooling off an overheated pet with wet towels or carefully bandaging open wounds to prevent infection. If you're in the midst of a natural disaster that has knocked out power and/or communication, rest assured that our clinic has emergency generators and can take in as many pets as space will allow in times of crisis. We will perform quick, accurate diagnoses and brief you on the recommended treatment options. 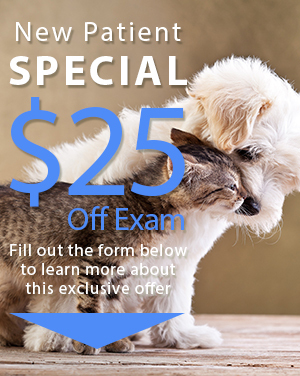 These may include poison treatment, internal surgery to treat blockages or injuries, external surgery to seal lacerations and set bones, C-sections to deliver litters safely, and any other emergency care your pet may require. When your pet faces a life-threatening issue, you don't want to waste precious time fumbling around for Oakland Park Animal Hospital's contact information. Take a moment right now to make sure our phone number and address are right where you'll need them when trouble strikes. That way you'll be ready to call us at (954) 731-4228 for instructions and/or drive to our office ASAP!